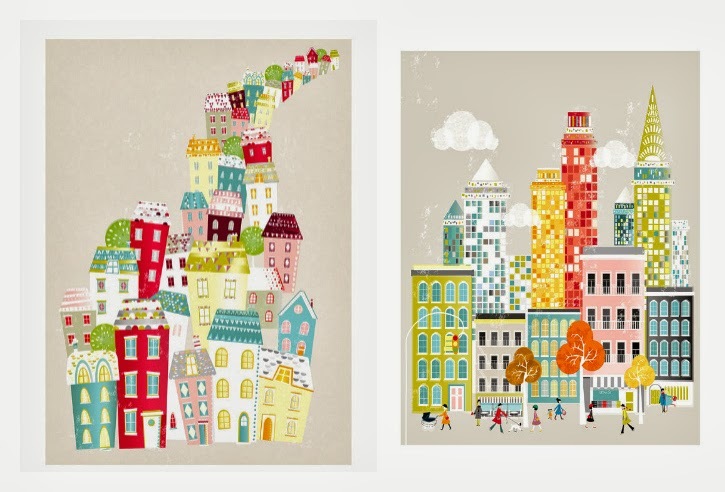 i just adore these city prints from laure amiss. aren't they so fun? i think they would look great in a kitchen (and they would go so well with my fiesta wear dishes!) i just ordered the one on the right but don't have the perfect place for it yet. but i am sure i will find one soon. what are your favorite things to buy on etsy? I love these! Good find. I've actually been on etsyna lot recently looking at scarves and phone charms.